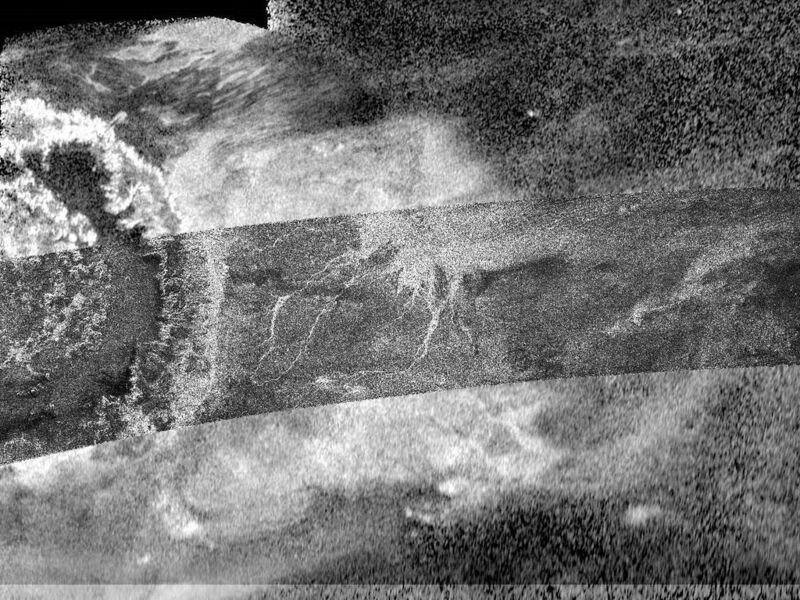 This image, created by combining two different types of radar images from NASA's Cassini spacecraft, reveals more details of Titan's crater Menrva (at left) and its surroundings than a single image could provide. 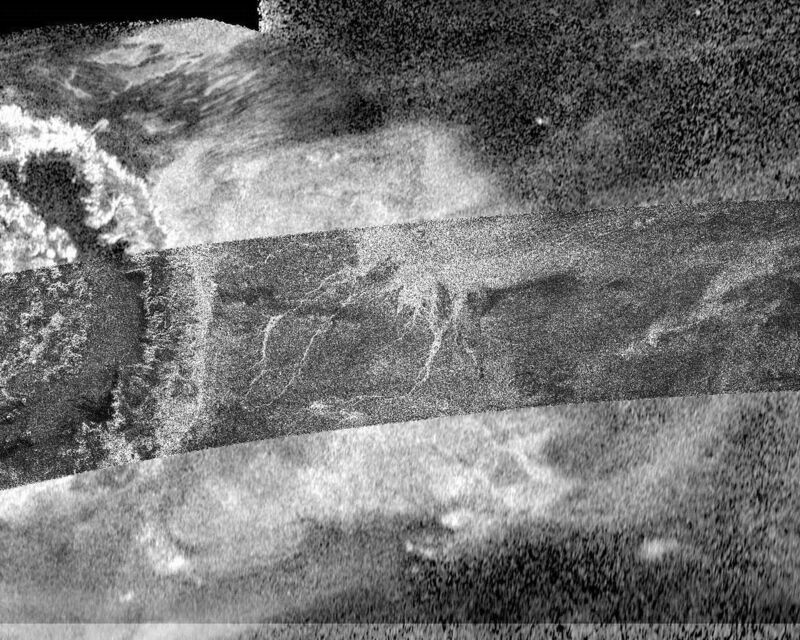 Centered at 20 degrees north latitude and 77 degrees west longitude on Titan, the image is an overlay of two synthetic-aperture radar (SAR) images produced by Cassini's Titan Radar Mapper. The narrower, arc-shaped strip running from left to right was acquired on March 26, 2007; the background was taken on June 21, 2011, using a technique called HiSAR. 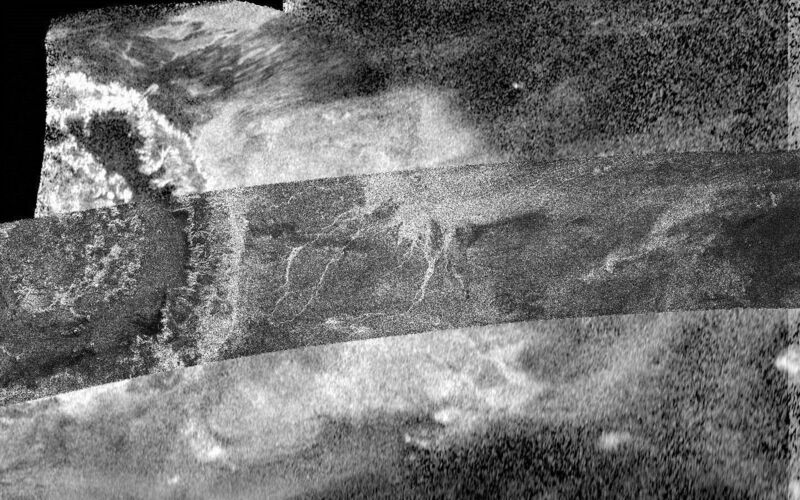 This technique was developed by radar engineers to take advantage of observing time when Cassini was not close enough to Titan to allow normal radar operation. HiSAR, which stands for high altitude synthetic aperture radar, uses only the center of the radar's beam, with a low- resolution radar mode, giving the radar the equivalent of a wide-angle and telephoto lens. HiSAR also allows images to be produced when the signal strength is low due to extreme distance or poor viewing angles. 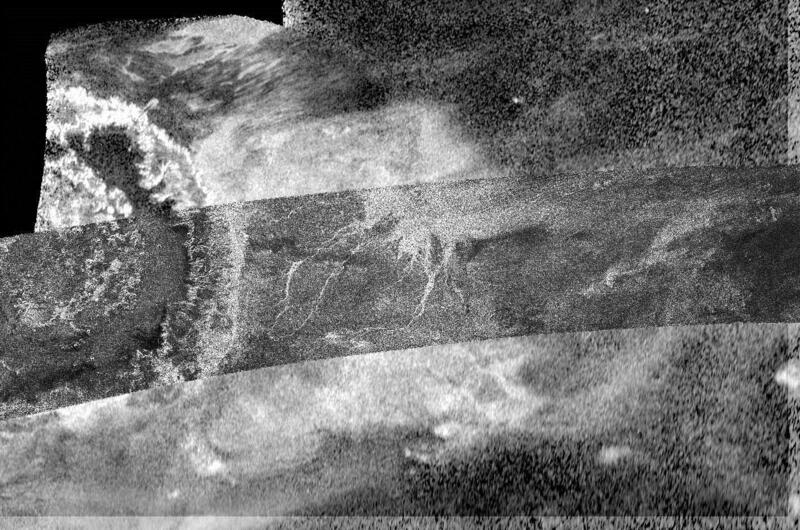 Although HiSAR does not produce the same resolution as normal synthetic aperture radar, this innovative technique permits more coverage. Without HiSAR, only a small segment of Menrva would have been visible and the context for the channel system to Menrva's right would have been unknown. The image covers an area 528 miles (850 kilometers) high and 932 miles (1,500 kilometers) wide. For more information about the Cassini-Huygens mission, visit http://saturn.jpl.nasa.gov/.